Thanksgiving is over which means . . . it’s that time of year again. 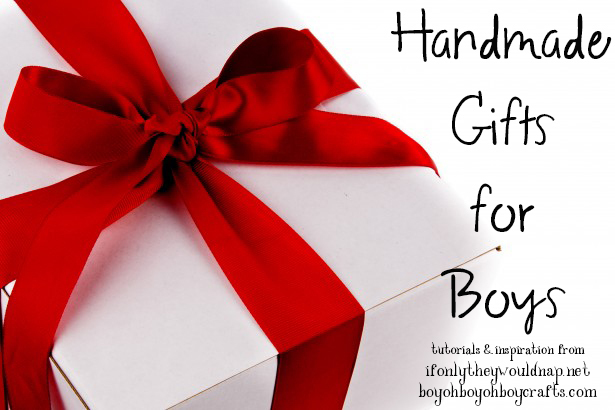 Jess of If Only They Would Nap and I are back for our FOURTH year of the Handmade Gifts For Boys series! You know, that super fun series where we show you tons of handmade gift ideas that our boys (and we think, children in general) would love to find under the Christmas tree. 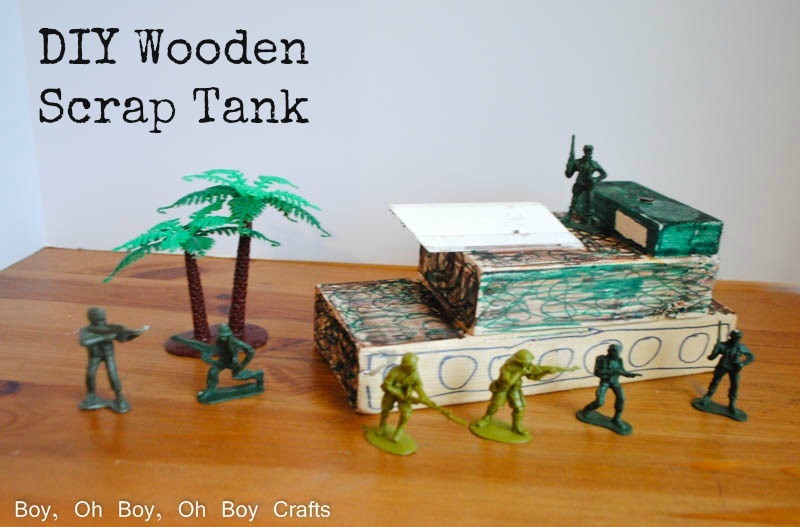 To start off the series, today, I’m sharing these easy DIY Wooden Scrap Tanks. If you need a little reminder on how the series works, or you want access to even more ideas, click on over to this round-up post. Today’s gift idea can be made and painted before placing under the tree, or sew up a fabric gift bag and wrap up all of the supplies for a DIY kit for older kids. 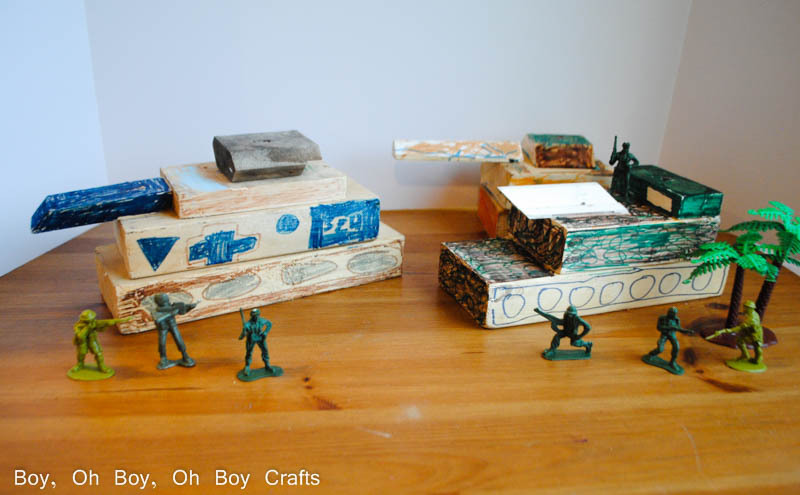 Either way, these wooden tanks will keep your military loving kiddo busy for hours. If you’re making the tank ahead of time, grab three or four differently shaped and sized pieces of wood. The pieces for this tank were: 9″ X 3 1/2″, 5 1/2″ X 3 1/2″, 1 1/2″ X 3 1/2″, and a 4″ X 1 1/2″ piece of molding. Simply start by nailing the bottom two pieces together. Then add the smallest piece on top, toward the back of the tank and, finally, nail in the piece of molding to the front. 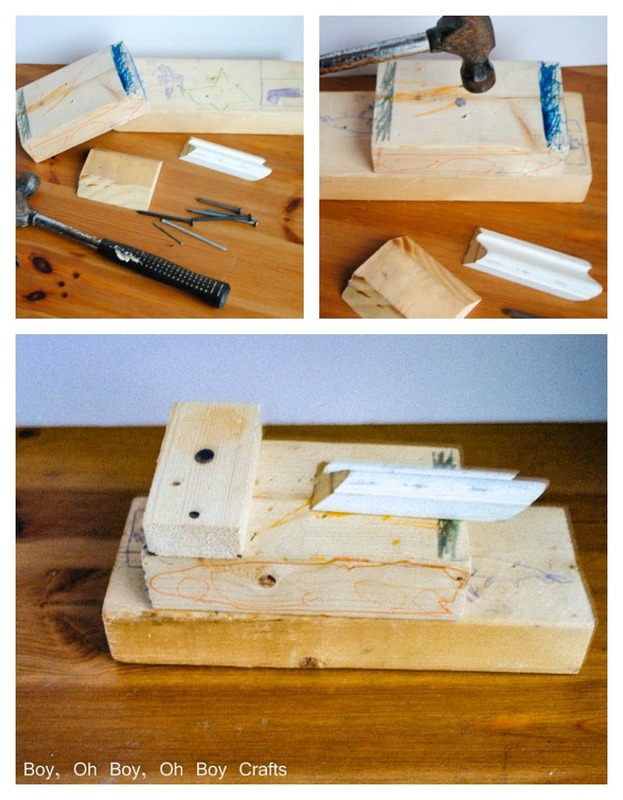 Then use makers or paint to decorate your tank or place markers/paint into the gift bag with instructions for the child on how to build it on their own. 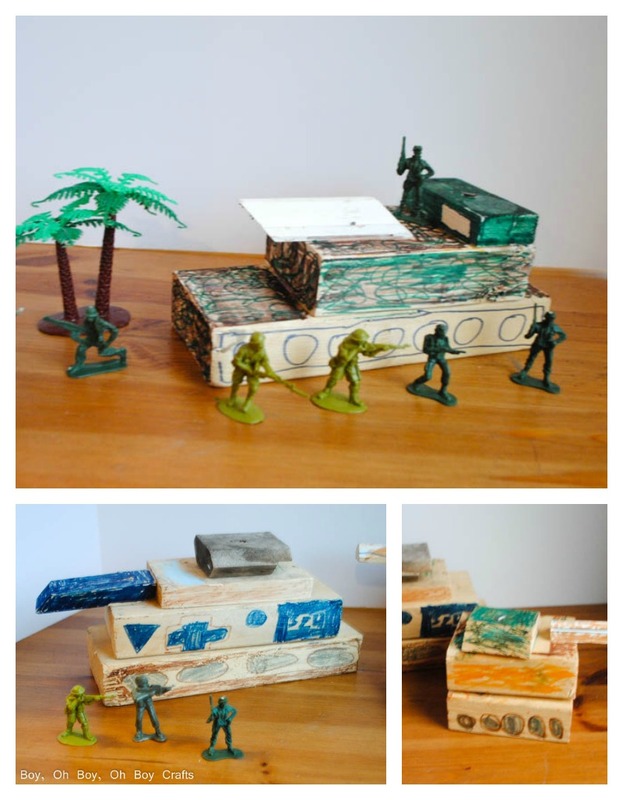 A few green army men and you’ve got the perfect gift for hours of play. 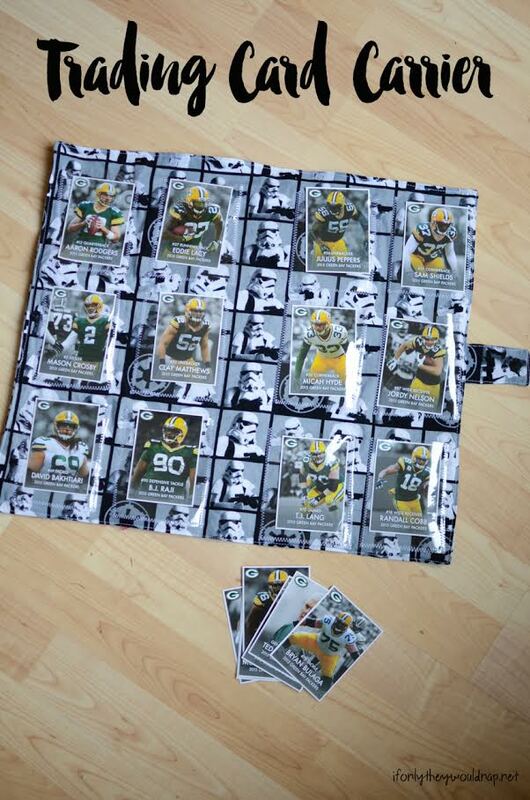 Now, head on over to Jess for this amazing, traveling card carrier.